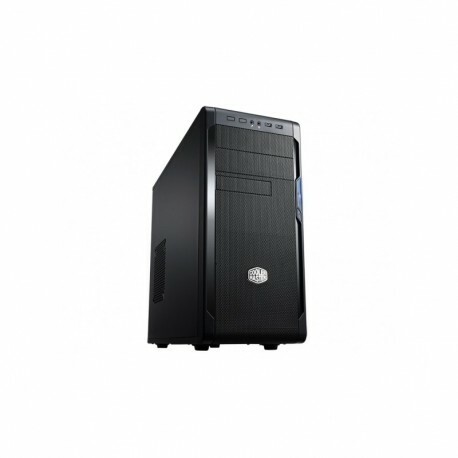 The N300 is a member of Cooler Master's N Series computer cases, featuring a mesh front panel that provides modern styling and optimized ventilation. Water cooling is fully embraced as the N300 supports a 240mm radiator for supreme cooling performance in a small package. The N300 almost makes a great gaming build as it supports high end graphics cards up to 12.6"/320mm. The N300 also includes a windowed side panel to showcase your build and a dust filter under the power supply for easy maintenance. N300 features an impressive array of mesh for outstanding air intake to keep your system running quiet and cool. Flexible mounting options including support for a 240mm radiator along the right side and 120mm at the rear. Room for up to 8 HDDs, or swap a couple out for some SSDs, or just mount the SSDs on the side or bottom, whatever works for you. Supported hard disk drive sizes 2.5, 3.5 "